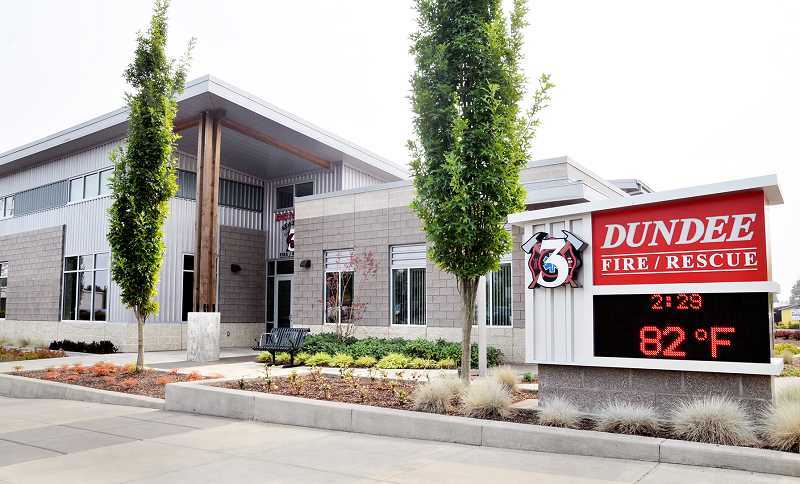 Dundee will net about $55,000 for a reserve fund following years of negotiating over problems with the fire station roof. The new fire station was completed in 2015, but the city immediately began noticing problems with the roof. The structure was built by Baldwin General Contracting, who the city claimed caused the several moisture problems. The city sought redress with the contractor and in early 2017 initiated mediation proceedings to reach a mutual settlement. The settlement was reached this past July for $980,000. Dundee Fire Chief John Stock said the roof repairs will cause only a "minor interruption" to services, and that the fire station will remain fully operational during repairs. "It's just moving apparatus out of the way on a weekly basis," he said. The city is using that settlement to do the necessary repairs, based on a quote from Porter Construction, a contractor specializing in building envelope remediation. To complete the repairs as soon as possible, the city awarded the roof repair contract to Porter Construction. The number of available, qualified and experienced bidders for the project was limited, and so was the city's funds to plan, design and construct it. The fire department will be fully operational during the course of repairs and work on the roof structure will be done in phases. The city may, however, need to relocate some departments and services from the fire station during construction. The city also entered into agreements with Construction Defect Consulting Inc. for preparation and submittal of construction drawings for permitting and construction services, and Omundson Construction Company for construction observation. All told, the total estimated cost is $924,904. That will leave the city with a settlement amount of $55,096. Those funds will be used as contingency for unanticipated costs that may exceed the estimate for the repair. Work on the roof started in early September and is expected to be substantially completed by February 2019. Porter Construction was paid nearly $806,000; Construction Defect Consulting was paid more than $88,000 and Omundson Construction Company was paid $31,000. The roof was not the only problem area discovered at the fire station. An issue with the concrete slab floor, which was impacted by a torrential rain when the construction company was midway through its original pour, have also been identified, but won't be addressed until after roof repairs are completed. Stock said the floor defects were a result of a significant rain event that occurred when the contractors were pouring the cement slab, and they were unable to protect the slab, which lead to deterioration. He said the new floor will be even better, as it's getting a coating that will make it 10-times stronger. "We're looking forward to it," Stock said. However, he said the defects are not structural and could begin even before the roof is fully finished. He said roof repairs over the apparatus bay are occurring now and once work shifts to the office and living area, contractors could begin working on the bay floor.